Thad Turner didn't think twice before helping a rider who is blind across the street, but for those that saw it, it was an amazing act of kindness. Thad was driving the Route 64 in July of 2018 when he pulled up to Gene Hubbard's stop. Gene is blind and Thad quickly got off the bus to help him cross the street. Someone who saw the act of kindness took a picture and sent it to Fox 6 News. The TV station posted the picture on their Facebook page and it went viral. A reporter talked with Thad about his good deed and told his story to people across the state. Then Thad's story was shared across the country. 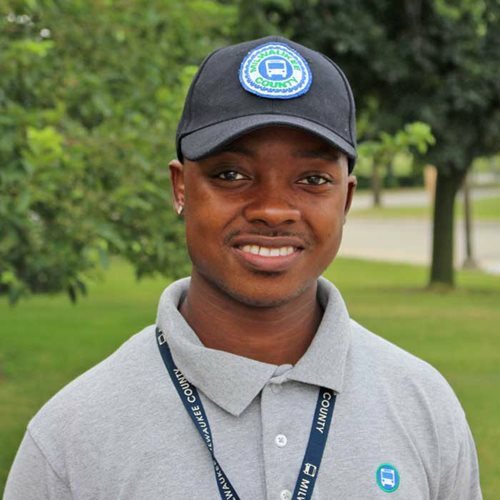 Thank you, Thad, for your actions and continuing to show MCTS Excellence.